The Commission for Protection of Competition (the “Commission”) opened an ex officio procedure against Philip Morris Services (PM), British American Tobacco South East Europe (BAT), JT International, Imperial Tobacco SCG, TDR1, and Monus, as announced on 1 December 2015.2 This followed two dawn raids against PM and BAT. As indicated in the decision3, the Commission suspects that undertakings involved concerted in order to align their pricing policies for factory manufactured cigarettes, thereby violating Article 10 of the Competition Act (a provision prohibiting restrictive agreements, and mirroring, to considerable extent, Article 101(1) of Treaty on Functioning of the EU – TFEU). This is the first case to tackle concerted practice in Serbia. Alleged concerted practice took place between January and November 2015, and concerned coordination over price increases, and timing of their coming into effect. Article 10 applies to concerted practices as well as to agreements. Unlike Article 101(1) of the TFEU, however, the Competition Act qualifies concerted practice as a form of a restrictive agreement. Nevertheless, the Commission is obliged to follow relevant EU case law established under Article 101 of the TFEU. Namely, in accordance with Article 73(2) of the Stabilisation and Association Agreement (the “SAA”), insofar they may affect the trade between the EU and Serbia, any restrictive competition practices, “shall be assessed on the basis of criteria arising from the application of the competition rules applicable in the EU”. A “Smoking” or a “Smoldering Gun”? Oligopolistic markets are often regulated markets. Therefore, a margin for free competition may be already distorted by regulator’s intervention. Indeed, depending on the evidence available to the Commission, this may not be an easy case to handle. First, parallel behavior may not be collusive at all. The Commission must establish that rivals “knowingly substitute[…] for the risk of competition, practical cooperation […] which leads to conditions of competition which do not correspond to the normal conditions of the market.” (Suiker Unie)10. Undertakings naturally monitor what their rivals publicly do and they react appropriately. Article 10 “does not deprive traders of the right to adapt themselves intelligently to the existing or anticipated conduct of their competitors” (Gerhard Züchner).11 As a result, parallelism of price announcements, which is ordinary result of the market structure, is not caught by Article 10 prohibition. Announcing prices to customers can rarely be found illegal (Wood Pulp)12 unless some form of prior exchange of information between rivals about intended price increase, date and place occurred. Second, it is an established case law that concerted practice “can only be properly evaluated […] after taking into account the characteristics of the market in question (emphasis added)”.13 One of the factors to be considered is whether mandatory state rules leave sufficient latitude for competition. 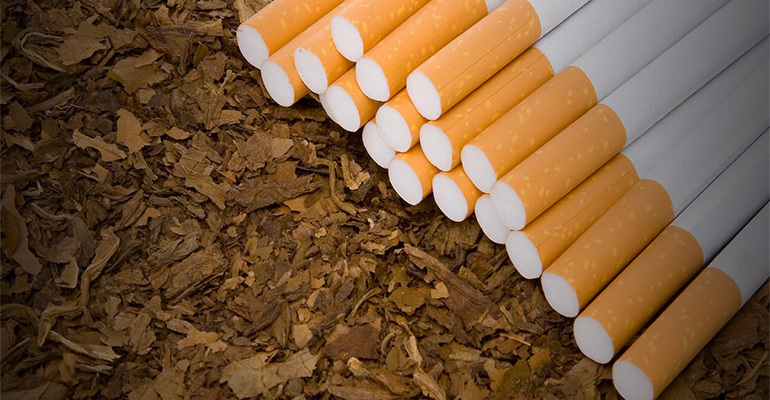 In this case, however, Excise Duty Act14 and Tobacco Act15, respectively, order producers and importers of tobacco products to publish the changes in prices of factory manufactured cigarettes together with the date of their coming into force in the Official Gazette of Republic of Serbia. Indeed, transparency inducing mandatory rules can serve as a plausible explanation for their conduct. One does not need to establish prior contact with its rival to understand the name of the game. The fact that transparent oligopoly may exhibit same end results as cartel, i.e. price increases, is not a legal basis to enforce antitrust rules, at least not those that regulate cartels. “Burden is on the Commission to prove existence of a concerted practice and, when it relies solely on the conduct of firms in question, to deal with any alternative explanations advanced by the parties of the parallel behavior” (JFE Engineering).16 Barometric price leadership pattern is not illegal per se especially if facilitated by rules established by the relevant authorities.17 It remains to be seen if the Commission did find more convincing evidence on direct or indirect contacts between defendants, other than stated. Otherwise, a “smoking gun” may become a “smoldering gun”. 1 BAT recently took over the TDR. In the period concerned by the decision the TDR acted as an independent undertaking. 5 Official Gazette of the Republic of Serbia no. 97/15 p. 67-68. 6 Official Gazette of the Republic of Serbia no. 95/15 p. 118-120. 8 Case T-41/96, para. 67. 9 Case 48/69, para. 66. 10 Joined cases 40 to 48, 50, 54 to 56, 111, 113 and 114-73, para. 26. 11 Case 172/80, para. 14. 12 See Joined cases 89, 104, 114, 116, 117 and 125 to 129/85, paras 59-65. 13 Suiker Unie, para. 28.